i don’t know about you.. but sometimes i just get the major urge for chocolate. like outta nowhere.. it creeps up and bam.. must. have. chocolate. and sometimes, it’s not just chocolate, it’s a chocolate chip cookie. or brownie. or anything that makes me feel all warm and fuzzy inside. yes?! raise your hand fellow chocolate-aholics! no shame in our cacao game! so the other evening, around 9:00pm… that feeling crept right on in. without any pre-packed cookies or brownies in sight… i knew what was about to go down. whipping up a batch on my own, at night time. because what better time than the now?! my husband, thank goodness, is used to my sporadic attacks of baking. they know no time, because anytime is a good baking time to me! so i took a look into my baking pantry and pulled out a few key ingredients, crossed my fingers and began to whip up a batch of something chocolate-y! would the batter turn out to be more cakey? brownie-y? cookie-…y? whenever i make something out of the blue, i never really start with any expectations or what the end result will turn into, i go by the batter’s consistency then just roll with it! well ladies and ‘gents, let me just say, the sporadic chocolate attack i had that night paid off. and you get to reap the benefits! they’re gluten-free, non-gmo ingredients and overall pretty gosh darn guilt-free!! of easily one of the best chocolate chip cookies i’ve ever made. oh, and did i mention they’re double chocolate chip cookies?! not just your classic chocolate chips with regular batter. oh no… chocolate on chocolate. and a sprinkle of love. of course. i put the whole process on snapchat (@tayloredfitness) and when the results turned out deeeeeeeelicious i asked if everyone wanted the recipe! well, the result was prettttty much a given and without further adue… my sporadic cookies come to life for you! are you ready for how easy these are to create?! are you ready?! step 1: in a bowl, combine flour, coconut sugar, carob powder and baking soda. set bowl aside once thoroughly mixed. step 2: in a bowl, using a hand blender or a mixer, combine your room-temperature/slightly melted coconut oil and peanut butter until smooth and creamy! pour in your egg whites and continue to mix. step 3: pour your wet mixture into the dry mixture and mix away! this is when you will have to get out a spoon or spatula to really mix it well as it will get too thick and clumpy for a hand mixer. eventually, once blended, toss in those chocolate chips. whip out your baking cookie sheet, lay a piece of parchment paper on it and then scoop out 18 cookies total. or dig in and burn your taste buds. because who has patience?! 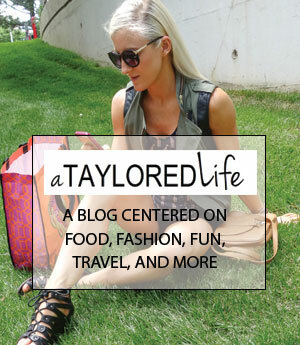 not only were these tayloredrecipes approved, but most importantly.. husband approved! we enjoyed these right on the spot, and then sprinkled them all over our ice cream the following evening. i’m also pretty sure my husband had 2 for breakfast. and 2 after our workout. but i mean, they’re clean and filled with good fats, so why not, right? !